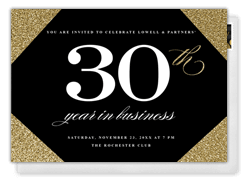 This classic and elegant invitation can be used to represent all special events. 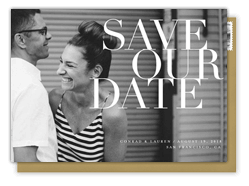 Change the wording to be a holiday party, business gala, engagement party or even wedding! The subtle glitter in the corners gives it the flare it needs without being over the top.